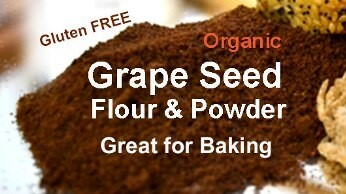 According to our independent laboratory tests GRAPE SEED FLOUR has a 23 to 70 times GREATER antioxidant value than BLUEBERRIES. With it's 'NUTTY FLAVOR' can be added to almost EVERY MEAL of the day including dessert! Can be used for BATTERING and CRUSTS! Helps as a binder for FLOURLESS MIXES! Adds wonderful color to PIE CRUSTS, FISH, MEATS and POULTRY! Benefits include primarily TASTE improvement and then these added health benefits. 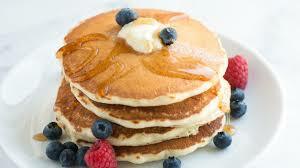 Try the BEST Pancakes You Will Ever Eat in Your Life!!! Try it in your product for another success! Lower heat and cook another 1-4 minutes until chicken is fully cooked but not over cooked.